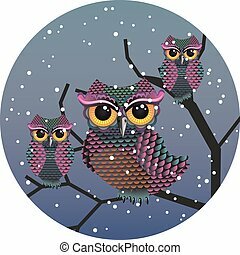 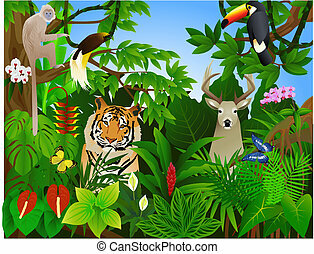 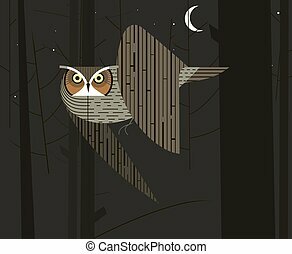 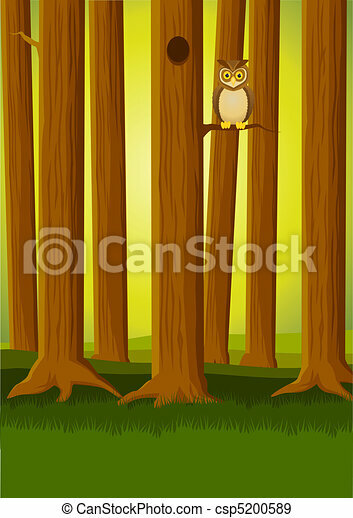 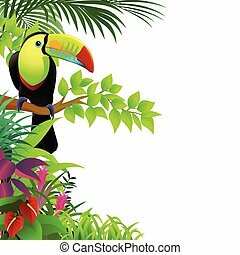 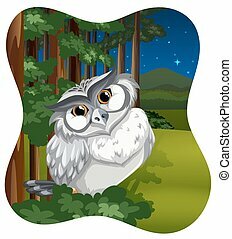 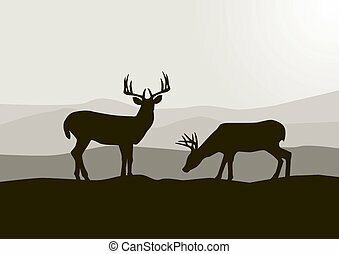 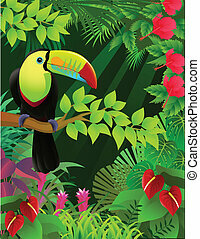 Vector illustration of an owl in the forest. 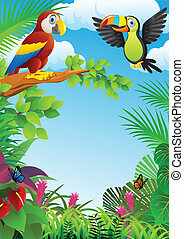 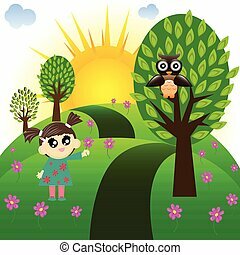 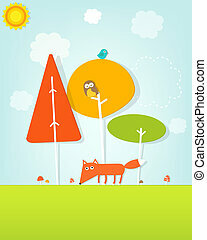 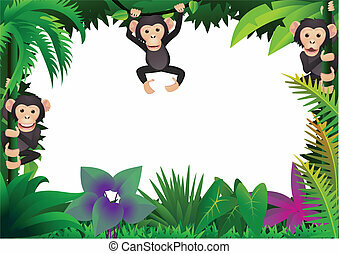 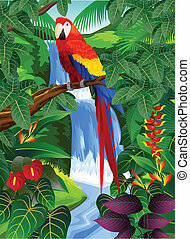 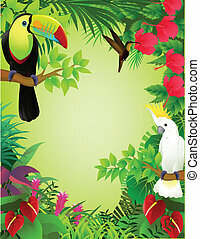 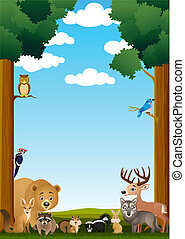 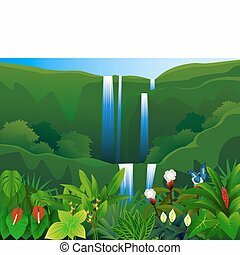 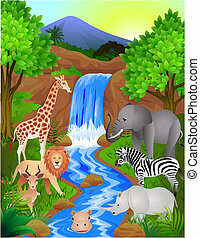 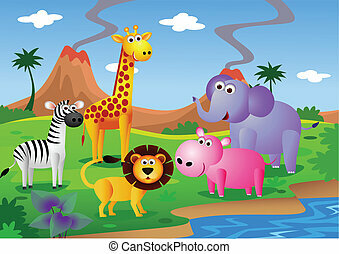 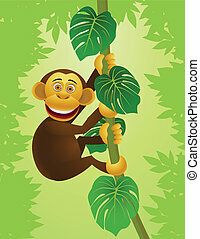 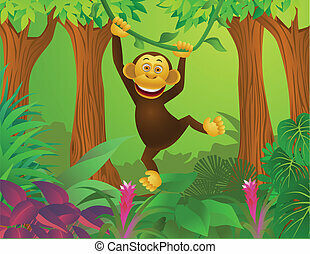 Illustration of cartoon little girl who wants to give a flower to the owl in the forest. 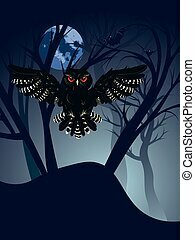 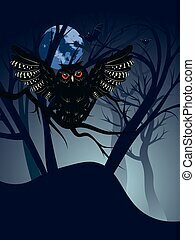 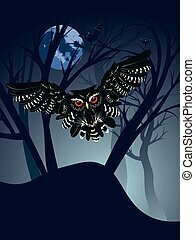 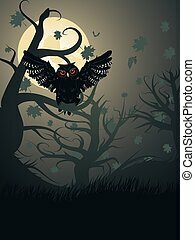 Owl silhouette in the dark night forest with full moon. 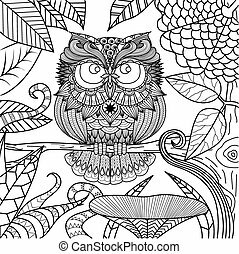 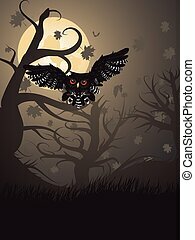 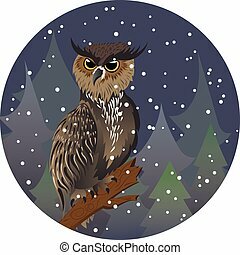 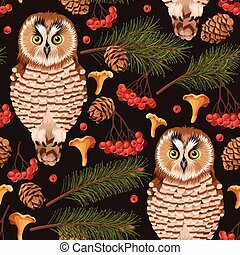 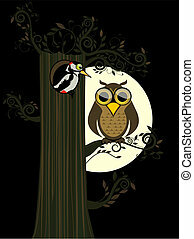 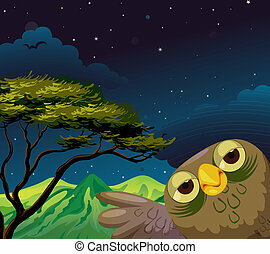 Cartoon great horned owl on a tree branch in the night forest.